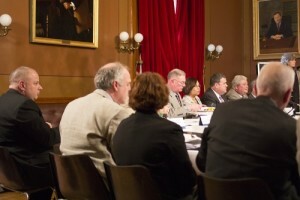 House Committee on Health, Education and Welfare. Photo by Mark Baumer. My partner, I and a group of raw milk drinkers, including recently turned 2 year old Desmond, were at the Rhode Island State House, this past Wednesday, to support House Bill: 5820 by Representatives Palangio, Handy, Ajello, Costantino and Winfield, Entitled, An Act Relating to Food and Drugs – Raw Milk. This bill would establish procedures and standards promulgated by the milk commission for the handling and sales of raw milk in the state, and was introduced on 2/28/2013 and referred to the House department of Health, Education and Welfare. On 3/12/2013 it was scheduled to be heard on 3/27/2013 at the rise of the house. We were told this would start around 4:30. A bill to require labeling of GMO’s in RI was also scheduled for the same day but was postponed. See EcoRI New’s article on it. As the co-leaders of the Providence Chapter of the Weston A Price Foundation, Richard and I did our best to get the word out. We have been working with The Farm to Consumer Legal Defense Fund for tips to get the bill passed. We also started 2 petitions in support of the Raw Milk Bill. We gathered at the State House with about a dozen other supporters, with excitement, to testify in support of the raw milk bill. We had the unfortunate coincidence of having our bill being heard in the same committee meeting as House Bill 5654. Entitled, An Act Relating to State Affairs and Government – State Emblems. This bill would designate Calamari as the official state appetizer. Read the article from the ProJo here. As a native Rhode Islander, there is no way I could be against this bill. Its a fun and a wonderful idea. There was also no one opposed to the bill at the hearing. The room was filled with smiling people, cameras, a chef cooking calamari, waitstaff serving calamari to the committee and many supporters signed on to give testimony. Also, its good to note that two employees of the RI Department of Health were present during this. Wednesday’s hearing at the State House turned into a theatrical show for the media and the committee’s Chairman Rep. Joseph M. McNamara. With more than an hour of repetitive testimony and Rhode Island Style Fried Calamari being served to the committee, half of our raw milk supporters could could wait no longer and had to leave without giving testimony. When the Calamari Bill was over and they had moved on to the Raw Milk Bill, most of the people in the room, along with the media and almost half of the committee left the room and were not present for the raw milk hearing. We had five people give testimony in favor of legalizing raw milk. First, a woman with Crohn’s disease who told her wonderful story of using raw milk as an addition to her medicines to treat her Crohn’s symptoms. Then, my partner, Richard, who made it clear that this is a progressive rights issue (the right to choose) and addressed some of the DOH’s claims that raw milk has no benefits. Next, a man with a family history of dairy farming and then a very active member of the local food community gave his testimony of wanting to have access to raw milk, as his family in New Hampshire and Maine are able to. I am very proud of the brave farmer who got up in front of the committee and gave her testimony and showed a photo of her beautiful pet cow, Lily, from whom they get 2 gallons of milk per day. After our testimonies, the committee continued with the other bills on the agenda, and we were met in the hallway by Representative Palangio and Representive Tansi, who thought it went really well and are big supporters of the bill. We shared smiles and cups of raw milk with the Representatives and the supporters, celebrating our hard word. I checked the next morning and found that the Committee recommended measure be held for further study. However, looking up the decision of the Calamari bill, that bill was also held for further study. I will continue to look up the status of Bill 5820 (Raw Milk) and will be at the next hearing(s) for the House and Senate. 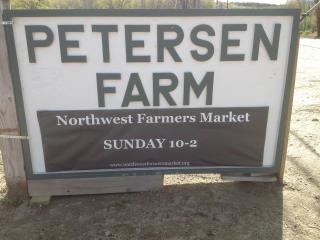 Thank you all for your support and hard work for the ability to have access to clean, raw milk. If you are new to raw (real) milk please see RealMilk.com and learn about the benefits of drinking clean, raw milk from pastured cows. In my 20’s I had chronic sinusitis and bronchitis many times per year. I took lots of antibiotics and other pharmaceuticals. Now, in my 30’s, I am healthy, living free of pharmaceuticals and happier than ever. Starting the WAPF way of eating has healed my immune system. Its been almost 2 years since I have suffered from an illness or bug. Then this one hit. It was pretty tough. I had an infection in my sinuses and throat…something most Americans treat with antibiotics. I am no longer willing to compromise my gut with a round, so I started a regimen of soup, wild oregano oil and fermented foods. It only took a few days to be back in the swing of things. This soup was extremely helpful. The anti-viral properties of the oregano and ginger and the anti-infammatory properties of the bone broth and onions pushed me over the edge to the healthy side once again. I hope it helps you too! Scoop fat off the top of the chicken stock and place in large soup pot with onions and garlic. If you don’t have enough fat, use pasture butter or olive oil. Sauté until onions are translucent. Add carrots and sauté for 2 minutes. Pour in stock and water and bring to a boil. Reduce to medium heat. Add ginger juice, pepper, salt and oregano. Simmer Until carrots are very soft, about 15-20 minutes. Use an immersion blender (or transfer to blender) to purée until smooth. Bring back to a simmer for 5 minutes. 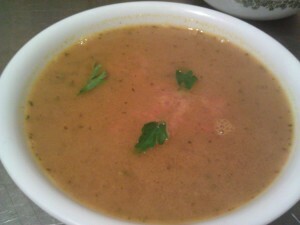 Turn off heat and add parsley. Serve with fermented carrots or sauerkraut. 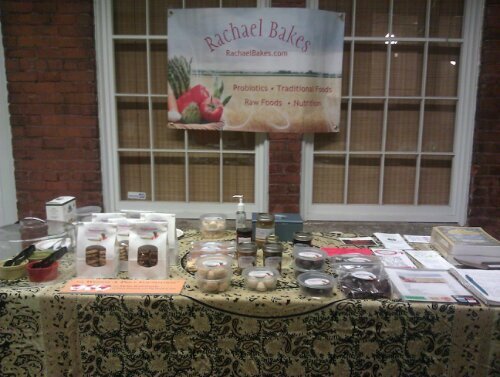 Our table at the Farm Fresh Pawtucket Winter Farmers Market at the Hope Artiste Village, Wednesdays 4-7pm.